The head of the Federal Reserve, Janet Yellen, has warned politicians against turning back financial market regulation, yet she herself does not comprehend what the regulation truly accomplished. She has warned that any adjustments to the framework should be discreet. The Jackson Hole gathering turned out to be financially tense. Yellen admonished politicians stating bluntly that this is a question of preserving the “increased resilience of the financial system” through the course of reforms. Some were expecting Yellen to point the finger at lower interest rate monetary policy of past Chairmen, but she did not. She was addressing the issues of regulation reform being suggested by Trump’s people. Indeed, Trump has ordered that the Wall Street reforms of 2010 be reviewed. Many suspect that Yellen’s speech will be her last. 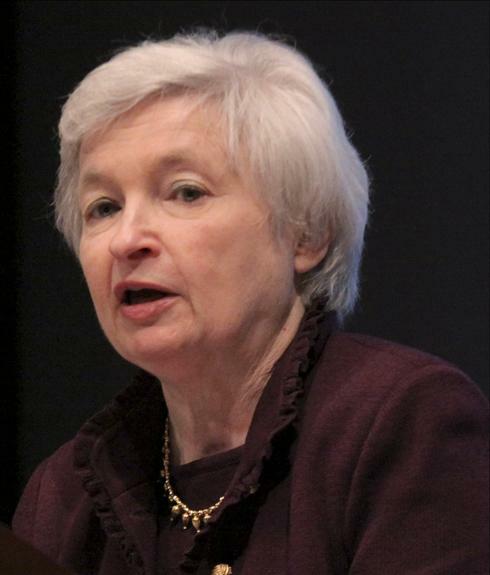 She essentially disagreed with the position of Trump and Congressional Republicans that the regulatory burden is strangling lending and has hamstrung the economy under Dodd-Frank, which gave the financial supervision far greater power, yet remain bewildered and in the dark concerning the causes of the 2007-2010 crash. Trump is absolutely correct that Dodd-Frank cannot truly function properly and it is so far off the mark, it is simply slowing down the economy. Yellen also said in Jackson Hole that some people were obviously forgetting how expensive the crisis had been. The entire regulation took aim at only the results and not the cause of the crash. Nobody seems to really understand just how significant the entire economy was altered when Clinton who was in the pocket of the bakers. 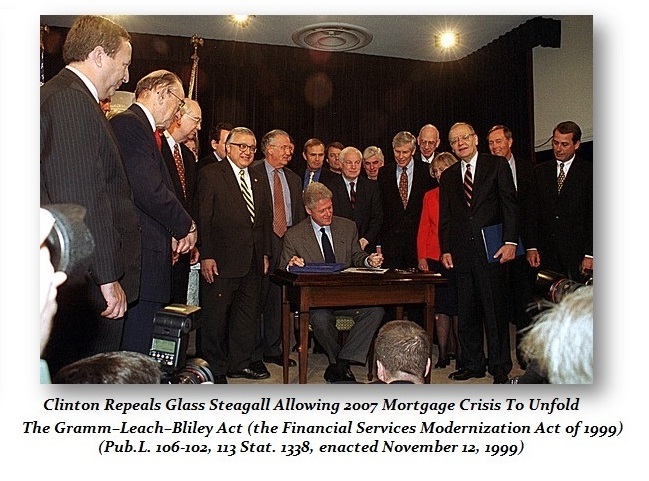 By the time Clinton signed the Financial Services Modernization Act, commonly known as Gramm-Leach-Bliley, repealing the key components of Glass–Steagall in 1999, nobody on Capitol Hill understood what the implications truly were, not even Larry Summers, the father of negative interest rates. 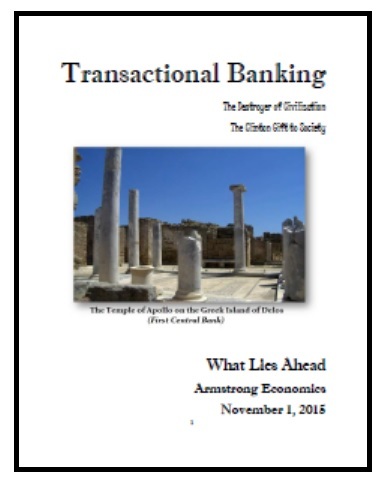 I wrote a full report on how they altered the economy forever changing our banking system from Relationship Banking to Transactional Banking. The arguments how this would reduce risk for banks overturning the regulation of the Great Depression, Glass-Steagall, have gone over the heads of everyone on Capitol Hill and I suspect Donald Trump as well. There is precious little that anyone seems to comprehend about the core structural changes the Clinton put in place. Even Yellen is operating from an assumption that Dodd-Frank is good regulation. What it did was put the burden on the people once again and never addressed the structural changes of the Clintons. There are no mirrors in Washington. 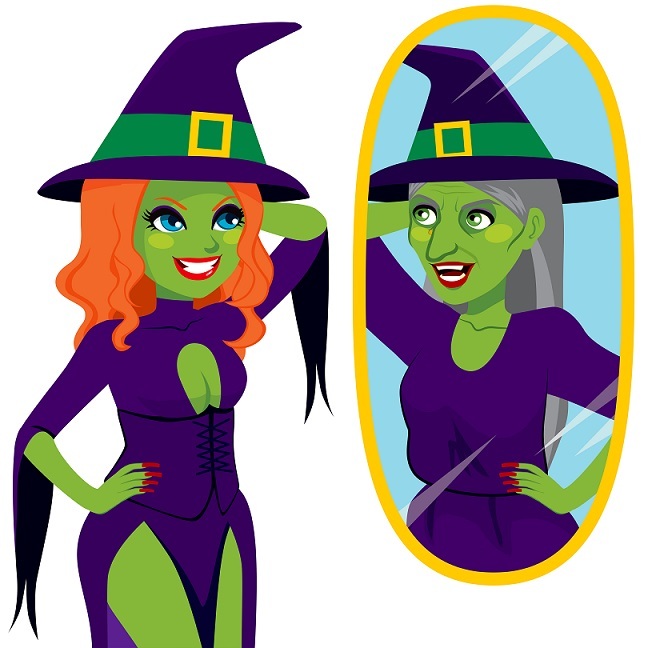 If Congress ever dared to look into a mirror they would see what they really are – a bunch of idiots and fools seeking to regulate the economy over which they never comprehend and they lack personal experience to even understand the subject matter. The bankers argued that Glass-Steagall was holding them back. They were like a child who was asking their parent can they only eat cookies for dinner. The politicians had no idea they were altering the banking system for thousands of years ending Relationship Banking where a bank lent you money for a small business and then they reviewed you quarterly and you handed in your financial statements. The banker kept an eye on you because your loan was on his books. Clinton changes 5,000 years of banks and gave birth of Transactional Banking where the bank suddenly didn’t care if you would repay your loan because they were selling it to someone else. They should show the movie the Big Short on Capitol Hill and then do a slide show geared for the 3 grade and force ALL politicians, and Yellen, to watch it. Maybe then they might understand what they have really done to the world economy and why economic growth today at 2% is considered a wild boom compared to 8% during the 1980s.